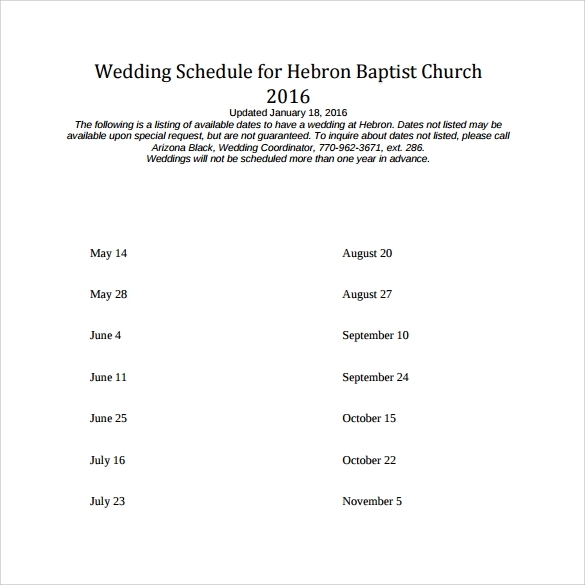 Do not worry about a wedding schedule template that is able to note every aspect, as we have numerous templates that can efficiently do so. 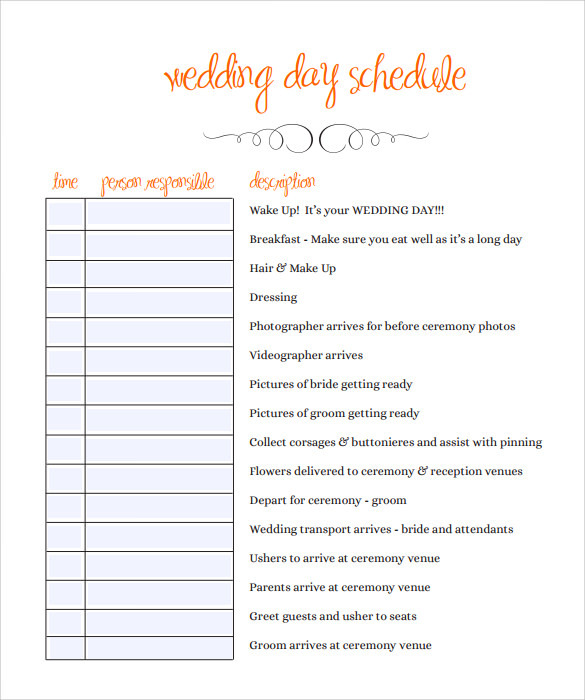 Therefore, carefully analyze each wedding schedule template and download it either in MS word, PSD or PDF format to have the convenience of noting down every event that leads to the wedding and every event that should happen after the wedding. Wedding schedule is always filled with a lot of confusion and if you want to simplify it then you need to give your preference to the wedding schedule templates. Skillfully designed templates will always give you what you expect from your perfect wedding schedule plan. If you don’t have an idea about what you need to do in your wedding schedule planning then you need to look for some reference data so that you can find all the necessary information about it. 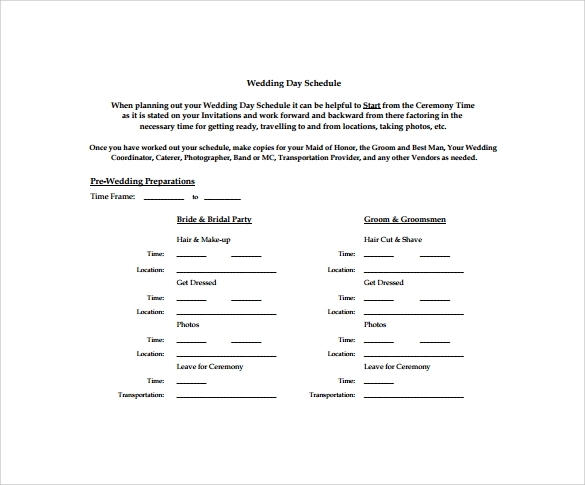 Or, you can download the wedding schedule templates which will give you everything that you need. There is no need to actually work on your wedding schedule templates anymore because there are a lot of free of cost options already available for you to use without any limitation at all. 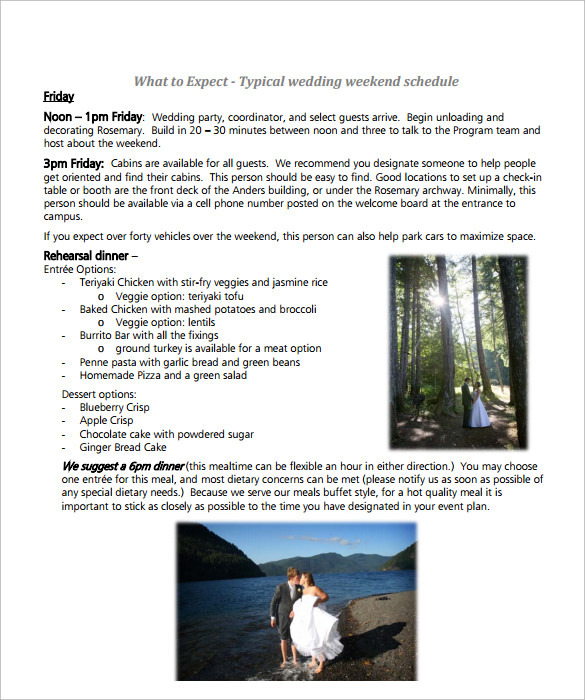 You can use the pre designed templates whenever you need to develop your wedding schedule plan. Sometimes, when you develop your own template for the wedding schedule planning then it becomes troublesome in printing. 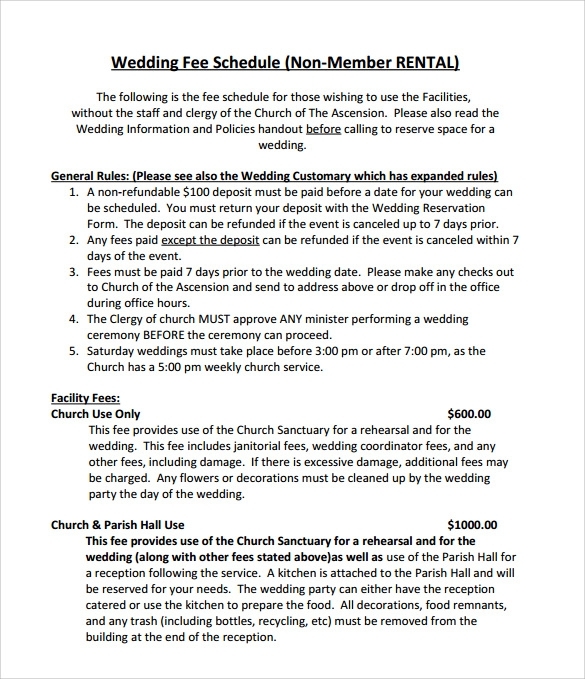 Best way to get rid of the situations like this is to prefer printable wedding schedule templates. 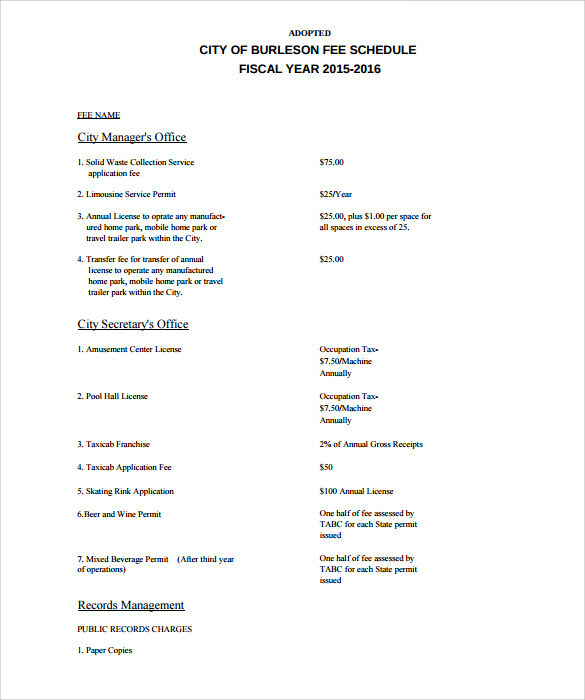 These templates will save your time and effort as well. 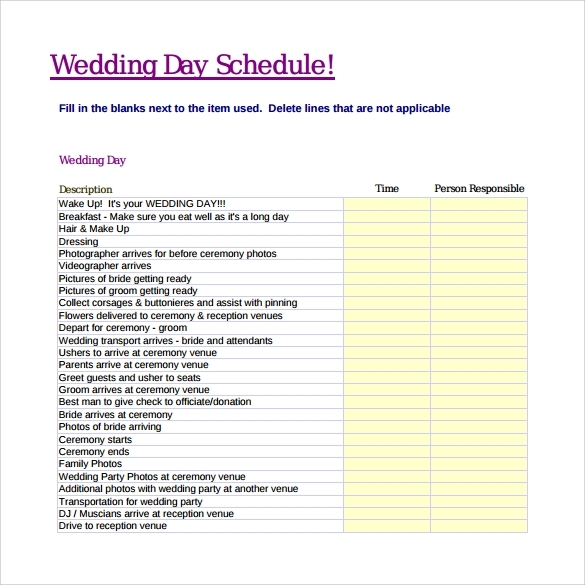 Why do You Need Wedding Schedule Templates? You will be ready for your perfect wedding schedule creation within minutes and your wedding schedule document creation procedure will not take more than an hour. Everything will already be organized in pre developed templates. The only thing that you will require to do is to fill your details in the template and then you can use it or print it as per your requirement. 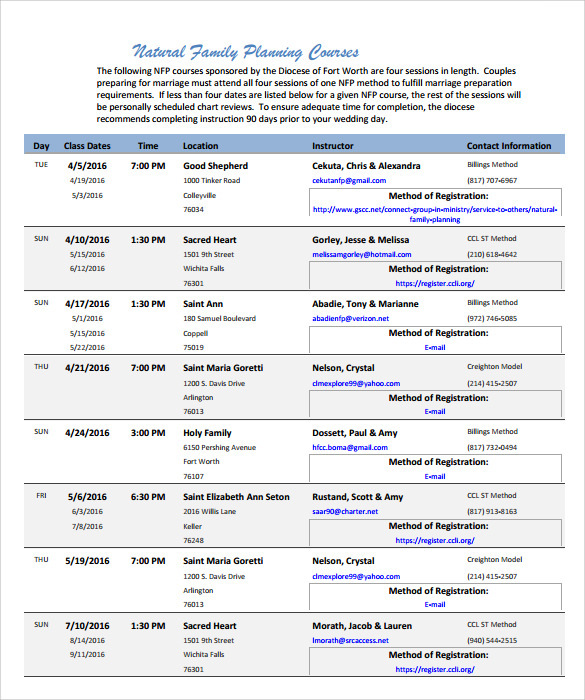 When do You Need Wedding Schedule Templates? Development of wedding schedule is never really a task of a few minutes. In fact, it is a task of days because there are so many things to put in your perfect wedding schedule and then you will need to check it twice to make sure that you haven’t left any detail in your wedding schedule. This procedure is really very lengthy and it requires so much thinking. 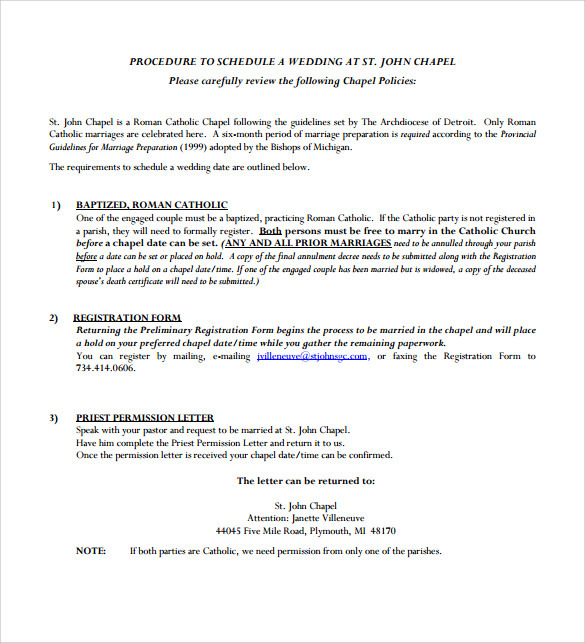 However, you can replace all this work with the simple task of downloading wedding schedule templates. You just need to download the free of cost templates and then you can start using it. You can choose the best and most creative template for your need and then all that you have to do is to gather the appreciation for your work. 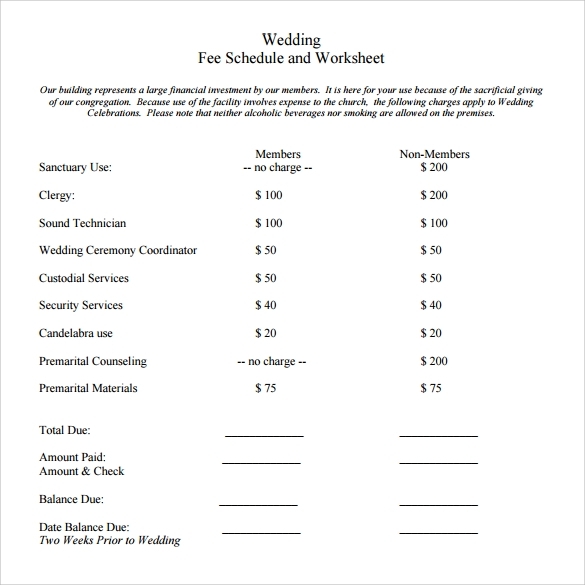 You can simply download printable wedding schedule templates with necessary advanced features for your requirement. This is the simplest thing that will make everything efficient and much more effective for you. When you download the wedding schedule templates then you will get complete freedom to customize your template as per your requirement and all the necessary ideas of details that you need to put in your perfect wedding schedule will already be present in your template which makes effort requirement less and results will always be best.